The following is a guest article discussing the evidence behind sugar by my friend Menno Henselmans. For some of you, the following information is going to seem hard to believe. I confess, when I first learned the truth about sugar, I was highly skeptical. However, starting a couple of years ago, I quit worrying about the complexity (pun intended) of my carbohydrate intake, and during this time, my physique has actually gotten better due to gaining strength. It’s such a relief to know that as long as I hit my caloric and macronutrient targets, I can enjoy a variety of carbohydrate sources depending on my preferences without negatively impacting body composition and health. Knowledge is power my friends. 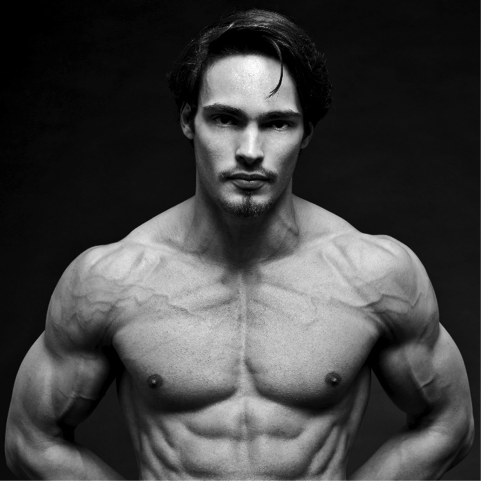 Check out Menno’s personal trainer certification course HERE. There are only 2 things that every nutritionist in the world seems to agree on (and we know everyone is a nutritionist these days). Vegetables are good and sugar is bad. But things aren’t so black and white if we let the light of science shine on sugar. Will sugar make you fat? It depends on your diet. Specifically, sugar’s effect on your body composition depends on if your diet has a predefined set of macros that you stick to every day or if you just eat until you’re full. If you eat until you’re full (ad libitum, as researchers call it), and you start adding sugar to your coffee, your oatmeal and your protein shakes, you are most likely going to gain weight (or lose less weight, if you’re in an energy deficit). The reason is simple. Sugar scores very low on the satiety index. This means it doesn’t fill you up much relative to how much energy you consume. So if you add sugar to a meal, you won’t eat much less of it. In fact, you may eat more of it because it’s tastier (higher palatability, as labcoats say). Adding sugar to your meals will thus generally increase your energy intake. And since your body follows the laws of physics, specifically the laws of thermodynamics, what happens to your weight depends on your body’s energy balance. You gain weight in an energy surplus, because energy will be stored. You lose weight in an energy deficit, because your body will have to oxidize AKA burn bodily tissue to get enough energy. Ok, so far so obvious. But what we really want to know is this. Is table sugar AKA sucrose (50% glucose, 50% fructose) more fattening than starches like rice or oatmeal when you consume the same amount of calories? Many studies have compared groups eating a diet with the same macronutrient composition (% protein, % fat, % carbs) that differed only in which carb sources were consumed. The groups eating lots of sugar lose just as much fat without losing more muscle mass than the groups consuming little or no sugar [2-3]. In studies where complex carbs like whole-wheat bread are replaced with sugar but the total caloric intake is kept constant, no body composition changes take place . So as long as you track your macros, having sugar in your diet is in itself not bad for your physique. And it gets even better. A 6 month study of 390 participants found that this is true for all simple carbs, like fructose (fruit sugar) and lactose (milk sugar): whether you consume simple or complex carbs does not affect your body composition . Or, for that matter, your blood lipids, an important marker of your cardiovascular (heart) health. While it is easy to classify simple carbs as bad and complex carbs as good, the distinction between simple and complex carbs is in fact completely arbitrary. It is merely a medical tradition that we call carbohydrates with 3 or more sugars ‘complex carbs’ and we call carbohydrates with 1 or 2 sugars ‘simple carbs’. It is a myth that sugar causes a massive blood sugar spike followed by a complete crash. The effect on a food’s blood sugar is measured by the glycaemic index (GI). 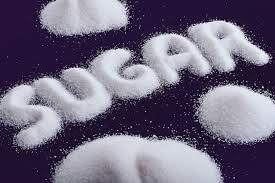 Sugar, due to its 50% fructose content, has a GI of ~68, which is a ‘medium’ effect on blood sugar. Sugar even has a lower GI than whole-wheat bread, which has a GI of ~71 . The same applies to the insulin index . There are many cultures in tropical climates thriving on diets of up to 90% carbohydrates [8-10]. And we’re not talking oatmeal and broccoli here. These cultures rely on sugary fruits. In fact, honey is the favorite food of the Hadza from Tanzania . Evolution has made sure our bodies can deal with sugar, because it is found in many of the world’s most nutritious foods: fruits. Fruit is in fact one of the foods humans have consumed for the longest period of our genetic existence. It has been a staple in our diet ever since we were still monkeys living in the jungle [5, 11]. And glucose is literally in our blood. Sugar isn’t bad. Nor is it good. Sugar has empty calories. It doesn’t satiate. But if your overall diet is very nutritious, you are healthy and physically active and you are tracking your macros, sugar won’t make your abs fade into a mountain of lard. You don’t have to live on rice and broccoli. And unless you have a food intolerance, you certainly shouldn’t avoid fruit or dairy because they contain sugar. That’s exactly the kind of broscience that drives bodybuilders into following obsessive and monotone diets that aren’t healthy in psychological or nutritional terms. Interested in more articles like this and advancing your fitness education? Have a look at the Bayesian PT certification program, an evidence based course about the science of physique training. The biology of the colonizing ape. Wells JC, Stock JT. Am J Phys Anthropol. 2007;Suppl 45:191-222. The Story of the Human Body: Evolution, Health, and Disease. Lieberman, D. 2014. The post Sugar – The Sweet Truth appeared first on Bret Contreras.